Nothing is easier than to keep Euphorbia pulcherrima (Poinsettia) from one year to another and even to see her geeting more and more beautiful and magic with time. Here is a brief description of the method. With the fall of the leaves and bracts (colored leaves red), which usually occurs in late February or early March, reduce watering to once a week. Store the plant in darkness in a cellar, basement or any place where the temperature is cool, that is to say 14C. Fold the plant to 5 or 6 inches off the ground at the end of April and repot in a suitable soil (soil for tropical plants). Since the emergence of new growth, start watering regularly to keep the soil slightly moist. When stems are 8 to 10 inches tall, repot in a bigger pot. Watering should be moderate. In early June, install the plant, outside in a semi-shade, sheltered from the wind, then at the end of August or early September, the back and put in a window well lit. To keep a plant azaleas (Azalea), when flowering is complete, it is necessary to keep in a well lit and less humid place. In early June, install it outdoors for the summer, in a partially shaded site. Cut shoots too long bud the other at the end of June. Put theplant back inside in September, in a cool place at a temperature of 5 to 10C. 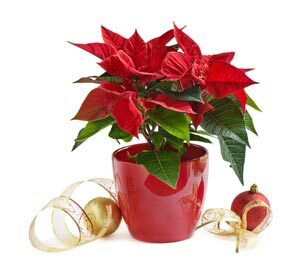 To December 15, install it in a warmer room, 21-23 degrees C day and 18 degrees C at night, near a sunny window. Because this website is free to use we need some funds to make it run and to advertise so you receive more ideas for your garden please suport us here: donate link : it will be a great aid and will be appreciated.